Carmen María Martínez, researcher at the University of Valencia, leads a study that reveals the consumption during the Upper Paleolithic of Portuguese crowberry (Corema album) fruits, which is currently endangered in the Mediterranean with a few specimens in the Serra Gelada. Published in the Quaternary Science Reviews magazine, the work on samples found in the Cova de les Cendres (Teulada-Moraira, Alicante) confirms the increase in aridity and sea level fluctuations at the time. “This is one of the most important Palaeolithic sites on the peninsular Mediterranean façade. The excellent preservation conditions have allowed the recovery of an abundant archaeobotanical record from which light is shed on the collection of vegetables by the human groups that frequented the cavity and on the landscape they inhabited”, according to Ernestina Badal, Cristina Real, Valentín Villaverde, Dídac Roman and Carmen María Martínez, from the PREMEDOC-GIUV2015-213 research group of the Department of Prehistory, Archaeology and Ancient History. The Centre for Forest Research and Experimentation (CIEF) and the Polytechnic University of Valencia (UPV) have also participated in the work. Hunter-gatherers who frequented the Cova de les Cendres not only collected these fruits, but also managed the vegetation and avoided using the plants from which they obtained food as fuel. Thus, no remaining charcoal from the more than 8,500 fragments analysed in the study has been documented. The Upper Paleolithic began about 35,000 years ago and is the period in which Homo sapiens sapiens arrived in Europe. It is characterised by the specialisation in hunting, the increase in the processing of plant foods and the diversification of tools. The Portuguese crowberry fruits played a key role in human nutrition due to its high content of vitamin C, potassium, calcium and magnesium, according to the analysis carried out by the researcher in agrobiodiversity of the UPV Maria Dolores Raigón, since a diet based only on animal protein causes health problems. Its high nutritional value and the abundant presence of seeds suggest that there was a systematic collection of these fruits. “The current distribution of this plant is limited to the coastal dunes of the peninsular Atlantic coast, but it has a single Mediterranean population of 11 individuals in the Serra Gelada (Benidorm), which is considered endangered by the Valencian Species Catalogue of Threatened Flora and it is believed that it is a relic of the existing population in the Cova de les Cendres”, highlight P. Pablo Ferrer, Inma Ferrando and Emilio Laguna from the CIEF. The causes of its disappearance point to a strong impact due to the increase in aridity during the maximum glacial period that took place some 20,000 years ago and to the destruction of its habitat due to the subsequent fluctuations in sea level. Information on the collection of plants in Europe is scarce due to plant remains preservation problems in archaeological sites. These (coal, seeds, fruits and leaves) provide information on how humans lived at the time, the climate, how the landscape was modelled and the presence of different types of vegetation. The data collected through archaeobotanical analysis show changes in regional biodiversity and could be useful for the design of environmental management policies and current and future biodiversity conservation strategies. According to the team, an interdisciplinary research is needed from Botany, Archaeology and other areas, working together to understand how ecosystems have changed over time, how humans have had to adapt to these changes and how their activities have altered the territory. 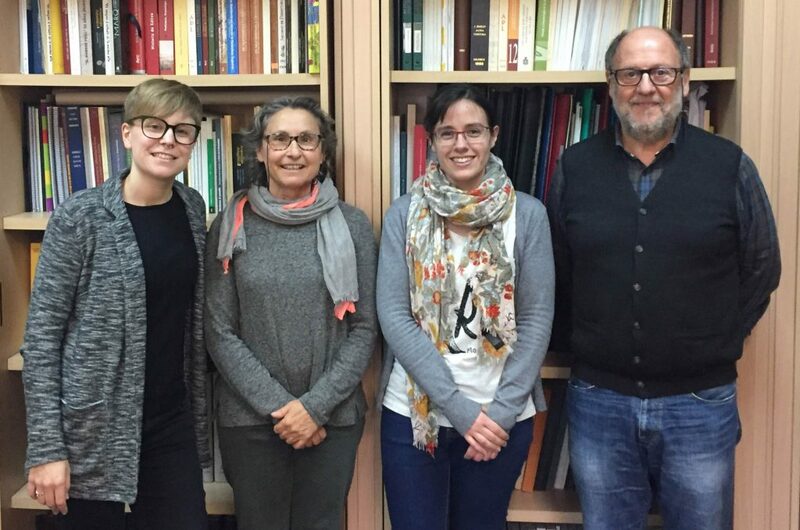 The Centre for Forestry Research and Experimentation (CIEF) and the Institute for the Conservation and Improvement of Valencian Agrobiodiversity of the Polytechnic University of Valencia participated in this study. It has been funded by the Universitat de València through the pre-doctoral grant Atracció del Talent, the Valencian Government with the PROMETEU program and the Ministry of Science and Innovation.